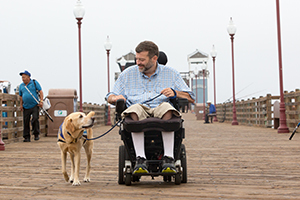 The Southwest Region of Canine Companions was founded in 1986. We serve Arizona, Utah, Colorado, New Mexico, Oklahoma, Arkansas, Southern California, Southern Nevada and Hawaii. 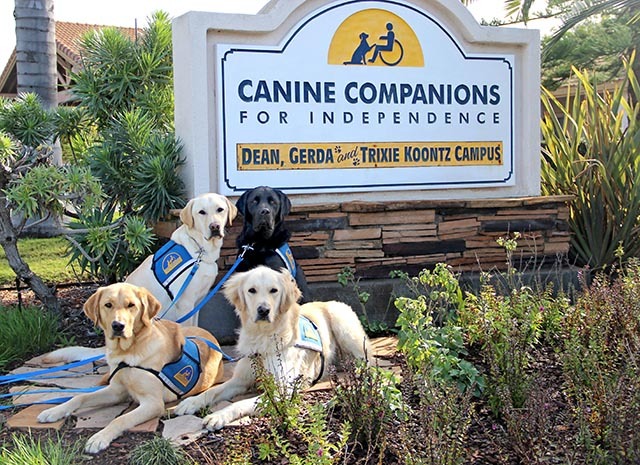 The Southwest Regional Training Center is named the Dean, Gerda and Trixie Koontz Campus after our campus benefactors: bestselling author Dean Koontz, his wife and their late Golden Retriever adopted from Canine Companions after being retired from service. The Dean, Gerda and Trixie Koontz Campus is located in Oceanside, California. We invite you to explore our volunteer opportunities, make a donation or attend an event. Presentations are also available for your group by Canine Companions representatives. The Dean, Gerda and Trixie Koontz Campus offers regular public tours. Click here for information about tours and presentations.